San Jose Criminal Defense Attorneys - Valencia, Ippolito & Bowman have the experience and credetials to handle any criminal defense matter. Our firm was named “Firm of the Year” and “Attorney of the Year” in Newsweek Magazine. The attorneys at San Jose Criminal Law provide quality criminal defense to people in the Greater San Jose area. We have handled all types of criminal defense cases in Northern California including Santa Clara County, San Jose, Silicon Valley, and the entire Bay Area. 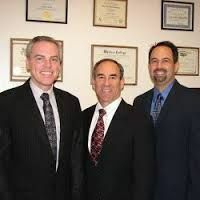 With decades of experience on their side, Patrick Valencia, Riccardo Ippolito, and Cameron Bowman are the attorneys you need. San Jose Criminal Law is not a group of solo practitioners in the same office. We are a team of experienced criminal defense attorneys. We consult each other and work together to take advantage of our collective experience and individual skills. As a result, we have the resources and experience of a large firm, yet we are able to provide personal and attentive service to each client. We also have a record of success and were recently named the Criminal Attorney Firm of the Year by San Jose Magazine. Our team of legal professionals includes former criminal prosecutors and an in-house criminal investigator. We have firsthand knowledge of how police and district attorneys build cases. We are familiar with their tactics and procedures, and use our knowledge of them to defend you. Contact us as soon as possible so we can begin defending your rights. United Employees Law Group is a California labor law firm experienced in pursuing overtime and other wage claims on behalf of California employees.